One of the things that I love most about running a successful company like Calla Property is the opportunity to give back to those less fortunate in the world. Not a day goes by where I don’t feel incredibly lucky and grateful for this privileged life I lead. No matter how bad things get, no matter how overwhelmed I feel, I know that my life is infinitely easier and more abundant than most in the world. Last year my daughter and her Girl Guides group put on a sausage sizzle at Bunnings and with the money raised, donated to the Children’s Education Foundation. I learnt about this when the co-director Graeme was presented with the funds and he spoke a little about the organisation. He said that the girls had raised enough money to keep a girl at school for a year, in Vietnam. I had been one of the parent helpers at the sausage sizzle, and while we sold a lot of sausages I was interested in exactly how much it cost to sponsor a girl’s education for a year, so I approached Graeme to find out more. He told me that the research indicates that the best way to break the cycle of poverty in these poor countries is by keeping children – especially girls, in school. And it only costs $250 per year to do so. Keeping a girl at school substantially reduces the risk of a girl being trafficked for prostitution or sweatshop labour. After a bit more investigation into the foundation I was satisfied that it was indeed a worthy charity to donate to. Graeme’s wife, Linda, was in Vietnam researching for her new cookbook when she found herself in the kitchen of a nun who was reputed to be the best cook in the district. In the kitchen, where the nun was showing Linda how to cook her recipes, three children were running around. As you would expect, Nun’s aren’t meant to have kids, so Linda asked who they belonged to. They were her sister’s kids who had left them behind when she remarried, which is very common and she had quit the church to cook again, so she could afford to keep them in school. Linda asked what she could do to help, and the Children’s Education Foundation was born. 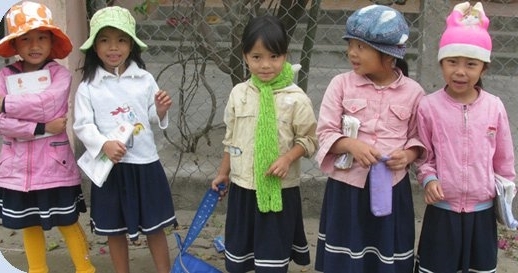 Linda now lives in Vietnam to oversee the operation and ensure that the right kids are getting the support they need to continue their education. We’re very proud to support Nhung for her whole education. She was orphaned when her father died in a motorcycle accident and her Granny has been looking after her ever since. Despite harsh conditions, Nhung is an excellent student. She is in grade 8 and our donation pays for her tuition, school insurance, school uniform, books and a raincoat and we are committed to supporting her right through to graduation, hopefully at University. http://www.callaproperty.com.au/wp-content/uploads/2018/09/static1.squarespace-300x155.jpg 0 0 Susan Farquhar http://www.callaproperty.com.au/wp-content/uploads/2018/09/static1.squarespace-300x155.jpg Susan Farquhar2015-04-21 05:04:132018-11-30 05:50:31Calla Property gives back. 3 Top Considerations When it’s An Investment Property, NOT a Home. What do you need to know about getting a loan?